The 2019 MRS Spring Meeting & Exhibit is the key forum to present research to an interdisciplinary and international audience. It provides a window on the future of materials science, and offers an opportunity for researchers—from students and postdoctoral fellows, to Nobel and Kavli Prize Laureates—to exchange technical information and network with colleagues. CLEO is the world’s premier international forum for scientific and technical optics, uniting the fields of lasers and optoelectronics by bringing together all aspects of laser technology, from basic research to industry applications. CLEO provides a forum where attendees can explore new scientific ideas, engineering concepts, and emerging applications in fields such as biophotonics, optical communications and novel light sources. The CLEO Technical Program Committee maintains a rigorous peer review system that emphasizes and maintains high technical quality in all presentations. The BMLA conference is a unique platform for exchange of knowledge, ideas, recent advances, and everything else in the field of lasers and light based devices for all medics, surgeons, nurses, technicians, aestheticians and scientists who are directly or indirectly involved in the use of such devices for improving their patients’ and clients’ health and wellbeing. Whilst it is always a challenge to cater to such a diverse group of candidates, the BMLA has been accepting this challenge year on year and delivering high quality, evidence based, scientific programme to stimulate the minds of medical and aesthetic laser enthusiasts. The Digital Holography and Three-Dimensional Imaging meeting provides a forum for science, technology, applications of digital holographic, three-dimensional imaging and display methods. Photonics North is an annual IEEE sponsored event and is the leading Photonics conference in Canada.Photonics North represents researchers in optics and photonics from all over the world. The conference consists of 9 symposia ranging from Ultrafast Optics and Laser Technology and Photonic Materials to Quantum Communications and Biophotonics. This year Photonics North organizing committee is pleased to announce two outstanding plenary speakers: Prof. Robert W. Boyd (uRochester and uOttawa) and Prof. Peter J. Winzer (Bell Labs). Der Kurs ist bei der Ärztekammer und der Zahnärztekammer Niedersachsen zertifiziert. The Division of Atomic, Molecular and Optical Physics (DAMOP) was founded in 1943, and was the first division of the American Physical Society. Its central focus is fundamental research on atoms, simple molecules, electrons and light, and their interactions. It plays an enabling role underlying many areas of science through the development of methods for the control and manipulation of atoms, molecules, charged particles and light, through precision measurements and calculations of their properties, and through the invention of new ways to generate light with specific properties. Students who graduate with a background in AMO physics acquire a broad range of knowledge and skills that enable them to contribute to many areas of science and technology. The primary goal of this conference is to bring together scientists, engineers and clinicians involved in the application of optics to biotechnology, medicine, and surgery. Clinical translation and technology commercialization are major areas of emphasis. By focusing on some of the most topical directions, this conference provides a forum for researchers of our field to access our most important progresses and to chart course for future research through formal and informal discussions. 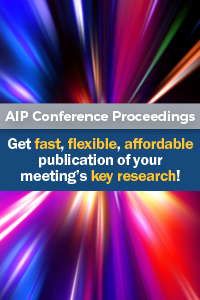 Through providing ample time for informal networking, the conference optimizes possible positive interactions among trainees, junior investigators, and established experts. This interaction is vital to cultivate the next generation of scientists and engineers in biomedical optics. The proposed conference will be a continuation of meetings on this topic sponsored by Engineering Conferences International for more than 22 years. The primary objective of Optics & Laser is to display new and advance technologies , recent achievements and global trends in optics, photonics and laser to advance interdisciplinary interactions that can nudge the development of this exciting exploration field. Special emphasis will be placed on Photonic & Plasmonic Nanomaterials, Optical Networking and Communications Market, Optical Astronomy, Laser Therapy, Laser Ultrasonics Techniques and Applications and Trends in Optics , Lasers and Photonics and particular advancements to create optic and laser. ALAW is the longest running conference in the industry for educational sessions and networking opportunities. As lasers continue to change the focus of manufacturing, we hope you will join us for a world-class industry event specifically tailored to the needs of manufacturers, job shops, and suppliers. Celebrate ALAW’s 26th anniversary with us June 4 – 6 at The Inn at St. John’s in Plymouth and experience learning, networking, and cutting edge technologies you won’t find anywhere else. The main objective of this conference is to promote the communication of new research on various aspects of light scattering including theoretical developments, numerical simulations, and laboratory measurements, and applications in scientific and engineering disciplines. Optical design and fabrication play an ever-increasing role in our modern society as more applications for optics are developed, especially in the areas of imaging, sensing, and illumination systems. The Congress will bring scientists, engineers, and designers together so they can interact and learn in both informal and formal settings. Oscine present leading researchers speak about AMO that studies atoms as an isolated system of electrons and an atomic nucleus, while molecular physics is the study of the physical properties of molecules. The term atomic physics is often associated with nuclear power and nuclear bombs, physicists distinguish between atomic physics which deals with the atom as a system consisting of a nucleus and electrons and nuclear physics, which considers atomic nuclei alone. The important experimental techniques are the various types of spectroscopy. Molecular physics, while closely related to atomic physics, also overlaps greatly with theoretical chemistry, physical chemistry and chemical physics. Sensors, infrared technology, laser systems, spectral imaging, radar, and more. Come learn about the latest technical advancements, find new business opportunities, and collaborate with other experts working on defense and commercial applications. We proudly announce the 2nd OptoNet Summer School 'Advanced Lens Design', which is intended to provide high professional practical training. It aims at technicians, engineers and researchers who are involved in optical systems design of imaging systems and need more theoretical insight and practical experience in that field. The conference PR'19, Photorefractive Photonics and beyond, is the 17th in a series of biennial Topical Meetings that started in Los Angeles (USA) in 1987. 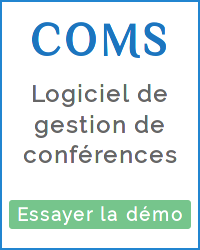 The venue of the 2019 conference will be the city of Gérardmer (France) in the hearth of the Vosges mountains. In agreement with the tradition for this informal meeting, the conference site and lodging are centralized in order to facilitate the networking and scientific exchanges among participants. Materials, Material micro- and nano-engineering, Charge generation and transport, Wave mixing, Nonlinear light-matter interaction, Lattice photonics, Parallel digital photonics, New imaging approaches. European Conferences on Biomedical Optics, the premier European event bringing together scientists, engineers, and clinicians who work with optics and photonics to solve problems in biomedicine. Co-located with Laser World of Photonics, it is an excellent opportunity to connect with researchers. Registration also includes access to the exhibition, where you can see important products. CLEO®/Europe emphasizes applied physics, optical engineering and applications of photonics and laser technology, and will showcase the latest developments in a wide range of laser and photonics areas including laser source development, materials, ultrafast science, fibre optics, nonlinear optics, terahertz sources, high-field physics, optical telecommunications, nanophotonics, biophotonics. The LiM focuses on the latest developments as well as future trends in the field of laser materials processing. The conference topics address anyone who is interested in the potential of lasers in manufacturing in theory and application. OSA’s Imaging and Applied Optics Congress brings together academics, industrial, and defense research perspectives to provide a comprehensive view of the latest developments in imaging and applied optical sciences. This congress will provide a forum for both the technical and applications sides of sensors to report the latest optical-based sensor advances, bring together major sensor developers and users, and provide a showcase for the latest sensor prototypes and products. 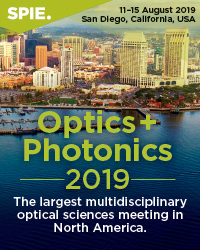 Applied Industrial Optics (AIO) is a meeting where researchers and professionals from diverse backgrounds gather and discuss photonics research, technology development, and commercialization. Here, industry leaders can stay informed of the latest advances in photonics technology. Historically ICOLS has been the venue for a number of landmark announcements in the development of precision measurement and control in atomic systems. With this year’s ICOLS coming shortly after the implementation of exciting changes in the definition of the SI Base Units, I am sure this will be true once more. An international forum for discussion of all aspects of nonlinear optics, including new phenomena, novel devices, advanced materials and applications. Nonlinear optical phenomena play a key role in many applications of photonics. They are now studied and applied over a wide range of energies and powers, from single-photons to zettawatts and above, and over broad spectral ranges, from THz to Gamma-ray frequencies. The purpose of this meeting is to provide an international forum for discussion of all aspects of nonlinear optics, including new phenomena, advanced materials, novel device concepts, as well as their applications in various fields of science and technology. The Siegman International School is a week-long program that exposes students to in-depth learning of lasers and their applications from internationally recognized academic and industry leaders in the field. The scope includes all aspects of lasers and photonics. Each summer, The Siegman International School on Lasers invites up to 100 graduate students for a week-long program to learn from pioneering laser researchers and experts from leading laser companies, highly-regarded professors and fellow students. Attendees are asked to present their own research, which provides invaluable experience in building exposure for their work. The ICXOM25, dedicated to developments in Synchrotron instrumentation and micro- and nano-analysis will be held together with the DXC specialized on newest developments and innovation in laboratory XRD and XRF in Lombard Illinois. Optics and photonics are enabling technologies that are part of our daily lives—from energy efficiency to healthcare. Advancements in these areas will help us to better respond to social and environmental challenges of our future. It’s these advancements that will be highlighted at the SPIE Optics + Photonics conference this August in San Diego, California. The conference topics include this year within the areas of nanoscience, organic photonics, optical engineering and applications, and astronomical instrumentation. With more than 70 conferences, 3,300 technical presentations, 40 courses, 4,000 attendees, and 180 exhibiting companies, SPIE Optics + Photonics offers both classic and cutting-edge optics and photonics research, training, and product information. Join your peers at SPIE Optics + Photonics 2019 – and get the kind of technical information, professional training, hardware and market intelligence that is key to success in today's changing job and technology landscape. SPIE Optics + Photonics is the largest international, multidisciplinary optical sciences and technology meeting in North America. With three symposia, find the latest research in these four areas: Optical Engineering + Applications, NanoScience + Engineering, and Organic Photonics + Electronics. Publication and Presentation: The conference proceedings will be published by CRC Press/Balkema (Taylor & Francis Group) and will be submitted to Ei for indexing. Acceptance Noticfication: You will receive the first round reviewing result in about 3-5 days after the submission. SOPO is an annual conference in China since 2009. It was held in Wuhan, Chengdu, Shanghai, Suzhou, Xi'an, Beijing and Guilin from 2009 to 2018. Each year there are 100 - 200 attendees from Asia, Europe, America, etc., and there have been quite a lot of well known experts giving plenary speeches. In 2019, SOPO will be held from August 17 to 19 in Xi'an, China. It dedicates to facilitating the global development of Photonics and Optoelectronics and exploring ways in which the latest research results can be shared. SOPO 2019 is co-organized by Wuhan University, Beijing University of Posts and Telecommunications, IPOC State Key Lab and other institutions. The International School and Conference on Photonics - PHOTONICA, is a biennial event held in Belgrade since 2007. It is conceived as a forum for the education of young researchers, the exchange of knowledge and ideas, as well as the strengthening of cooperation among scientists from academic institutions, universities and research laboratories in industry, working in this attractive field. So far, PHOTONICA has proven to be a very successful conference in the region, recording constant growth among eminent scientists and young researchers from around the world. This year we expect a record number of participants, around 300 scientists from the country and abroad, of which over thirty plenary and introductory lecturers. Among them are some of the most famous names from basic and applied research in photonics that have contributed to the development of light technologies. In order to boost transfer of light technology from academia to industry, mixing it with a useful knowledge from IT sector, for the first time we organize a satellite event - „Machine learning in Photonics“, which will be realized in the form of a special symposium. With its blend character of a conference, school, and exhibition, PHOTONICA (this year seventh in the row) has become an internationally recognized forum for education of young scientists, exchange of new ideas and a starting point of new collaborations and partnerships. It is accompanied by media, social networks, and high interest in both science and R&D circles. Dieser Workshop vermittelt theoretische und praktische Kenntnisse zur Lasersicherheit. Thematisiert werden mögliche Gefährdungen sowie die sicherheitsgerechte Gestaltung von Laseranlagenkomponenten wie auch der Gesamtanlage. Gemeinsam werden praktische Lösungen erarbeitet und erörtert. Der Lehrgang richtet sich an qualifizierte Facharbeiter, Meister und Techniker, die für Bedienung und Einsatzbereitschaft komplexer Laseranlagen verantwortlich sind oder künftig in diesem Bereich tätig werden. Jenaer Akademie Lebenslanges Lernen JenALL e. V.
Die Entwicklung optischer Technologien in der heutigen Zeit ist stark geprägt vom Einsatz neuartiger optischer Bauelemente. Diese setzen Fortschritte auf dem Gebiet der zur Verfügung stehenden optischen Materialien voraus. Die Weiterbildungsveranstaltung umfasst die Darstellung der verschiedenen Werkstoffe und den Komplex der Materialbearbeitung. Die Veranstaltung zum Optikdesign basiert auf dem Softwareprogramm OpticStudio der Firma ZEMAX. Die Weiterbildung versteht sich als ein einleitendes Seminar für Neueinsteiger und für derzeitige Anwender, die effektiver mit diesem Programm arbeiten wollen. 2019 Laser Science Conference (co-located with Frontiers in Optics). Weiterbildungsseminar "Optische Systeme: Design und Simulation"
Photonics BW bietet daher seit vielen Jahren ein Programm zur gezielten Weiterbildung auf dem Gebiet der angewandten Optik, speziell zur Auslegung und Berechnung optischer Systeme. Schwerpunkt des Seminars „Optische Systeme: Design und Simulation“ ist die abbildende Optik. The goal of this symposium is to bring together experienced and young scientists from various countries working on optics, and to provide a perfect setting for their discussions of the most recent developments in that area. Attendees at the software course develop their skills in modeling and analysis of micro-structured and diffractive optical components with refractive, diffractive and hybrid surfaces. The SPO 2019 conference purpose is to bring together students, scientists, and engineers involved in research and development of technologies related to optics and high technology material science. The 2019 OSA Laser Congress offers a comprehensive view of the latest technological advances in solid state lasers as well as the applications of laser technologies for industrial products and markets. The conference features an extensive exhibition. We are pleased to announce the Ultrafast Optics XII conference, the 12th conference in the series. In keeping with the long tradition of hosting UFO in special locations, we are delighted to invite you to Bol on the Island of Brač, Croatia. We are building a stimulating program for recent advances in ultrafast optical science and technology. Key conference topics include: Generation of ultrashort optical pulses from lasers, Parametric oscillators and amplifiers of ultrashort pulses, Ultrahigh peak-power laser systems and related technologies, High average power ultrafast lasers, High harmonic and attosecond pulse generation technology and science, Novel methods for shaping and measuring ultrashort pulses, Few-cycle pulses, carrier-envelope phase control, Coherent beam combining and pulse synthesis, Ultrashort x-ray pulses; generation, characterization, and synchronization of XFELs, Ultrafast laser applications that drive technology advancements and innovation. FiO 2019—the 103rd OSA Annual Meeting—encompasses the breadth of optical science and engineering and provides an atmosphere that fosters the exchange of information between those working on fundamental research and those looking for solutions to engineering problems. Special symposia and other major events further highlight major advances in many selected areas. It is joined by the Annual Meeting of the Division of Laser Science of the American Physical Society, which presents the latest work on laser applications and development, spanning a broad range of topics in physics, biology and chemistry. Der Kurs beschreibt die kompletten Grundlagen der Optikbeschichtung. In nur drei Tagen erhalten Sie einen Überblick über Funktion, Design, Herstellung und Anwendung optischer Schichten. Als Profi können Sie Ihr Wissen aktualisieren. Als Neueinsteiger wird Ihnen die Einarbeitung erleichtert. Als Auftraggeber für optische Komponenten wird sich Ihr Verständnis für diese Thematik verbessern. Auch wenn Sie Entscheidungen über Kosten- / Nutzenabwägung bei optischen Beschichtungen treffen müssen, bekommen Sie hier interessante Informationen. Our goal is to plan an exciting meeting that includes both new, rapidly developing topics as well as current ones of interest to the materials science and technology community. Broader impact programming at MRS meetings is intended to extend the influence of scientific research to the quality of life and society at large. Examples of MRS objectives leading to broader impact and the related events/action items include, but are not limited to: education and training of the next generation of materials researchers, public outreach, career and professional development, impact of materials research on the US and global economies, and efforts to broaden diversity and inclusion of underrepresented groups. The International Conference on Atomic, Molecular, Optical and Nano Physics with Applications (CAMNP 2019) will focus on developments in atomic ,molecular ,optical & nano science which has proved to be powerful science supporting many other areas of science & technology including industrial technology, information technology, energy, global change, defence, health and medical environmental, space technology, and transportation. LIP2020 — 13th international conference series on Laser-light and Interactions with Particles (LIP) - Optical Particle Characterization follow-up ! Optical Fiber Communications Conference and Exhibition (OFC). The Optical Fiber Communication Conference and Exhibition (OFC) is the largest global conference and exhibition for optical communications and networking professionals.